knows the importance of a properly running system, and we want you to be aware of these 10 symptoms of gutters in need of replacement so you’ll know when something is not right. Our technicians can then come out and get everything back up and running smoothly in no time. 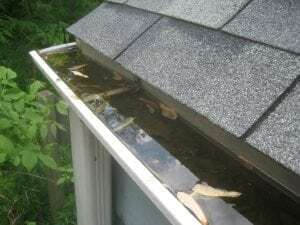 Eventually, you’ll know they’re reaching the end of the line when they show one or more of these 10 symptoms of gutters in need of replacement. Last on our list of 10 symptoms of gutters in need of replacement is a big one. Water constantly pouring near your foundation could start leaking into your basement, where it can do significant damage. If you find yourself repairing your basement, go ahead and replace your gutters too. Knowing these 10 symptoms of gutters in need of replacement will allow you to address an issue that if ignored could lead to home damage. Alpine Gutters & Downspouts is here to help every step of the way.